Social gaming giant Zynga has announced the launch of its own portal, which will play host to Farmville, Words With Friends and the company's other top titles. 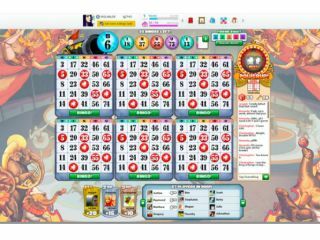 The new Zynga.com site represents the first time the billion dollar-valued company has independently toted its own line-up, allowing users to play games directly through the website. Traditionally the company has pushed its games through Facebook and smartphone apps and was recently revealed to be worth $445m in revenue to the social network. With Facebook so reliant on increased profitability following its recent IPO, the thought of losing some Zynga gamers back to the company is unlikely to go down well with Zuckerberg's crew. Facebook friend or Facebook rival? Beyond that, Zynga is also encouraging third party developers to get involved by submitting titles to the portal, something which will also create more of a rivalry with Facebook. The company will have its own social networking portion of Zynga.com, but will still use the Facebook Credits virtual currency and gamers will still have to log in through Facebook Connect to play. Further to that, Zynga says it has no plans to end the massively mutually beneficial relationship. Zynga CFO John Schappert said: "We've been a web/game company delivering content to our players and developing our own internal infrastructure and technology. And now we're transforming into a gaming and platform company. "We've listened to our players, to what they want from social gaming. They want a place where they can play together, they want a place that curates and delivers the best new social games for them, where they'll always have a friend to play with."